Running a major central bank is never a particularly easy job. An enormous amount of pressure—the weight of an entire economy—is riding on you. Among your major responsibilities is the job of stomping on an economy when it begins to run too hot, generating economic weakness to defang inflation. You’re rarely given credit for your successes and often blamed for problems of others’ making. Yet most central bankers have it easy compared to Mario Draghi, who last week assumed the job of President of the European Central Bank. Draghi’s situation could scarcely be more difficult. The very future of the currency he manages is in doubt. The euro zone’s third largest economy–Italy–teeters on the edge of a bankruptcy that could bring down the euro. The economy he oversees is descending back into recession on the heels of the worst downturn since the Great Depression. The member economies of the euro zone are vastly different and still only poorly integrated; an ideal policy for one state will inevitably be too tight or too loose for another. While most central banks have the luxury of operating alongside mature governments, which manage the currency area’s fiscal policy and sovereign debt, the euro area has virtually no fiscal governance—just a bickering gaggle of eurocrats. Perhaps most importantly, those leaders have very strong ideas about what the ECB should and should not be doing, and Draghi risks losing the confidence of critical constituencies with every move he makes. For all these reasons, however, the new president does not have the luxury of sitting back and waiting to see how events play out. The future of Europe and of the global economy depend on the decisions he’ll make in coming months. But what could, and should, he do? The first responsibility of the central bank is monetary policy, and indeed, Draghi’s first major decision was the choice to reduce the ECB’s benchmark interest rate by 25 basis points, from 1.5% to 1.25%. More—and perhaps a lot more—may ultimately be necessary. The ECB, unlike its peers at the Bank of England and the Federal Reserve, opted to raise interest rates this year in response to surging commodity prices. The ECB bet that rising food and energy costs would bleed into sustained inflation, which the Fed saw as unlikely given the high level of unemployment—if wages aren’t rising, you can’t get an out-of-control inflation spiral. The Fed had it right and the ECB wrong. Inflation in the euro zone is now levelling off as the economy seems poised on the brink of recession. Industrial production is dropping across most of the single-currency area, and unemployment is rising, even in the formerly perky German economy. A deep euro-zone recession might well doom the euro. Without growth, there is little hope that austerity measures will work. Spending cuts and tax increases will raise unemployment but little revenue, and the euro zone may collapse under the weight of debt and joblessness. To give the single currency the best chance for survival, the ECB needs passable growth, and therefore must loosen monetary policy dramatically. Unlike the Bank of England and the Fed, it has room to cut its benchmark interest rate, and it should continue to do so, from the new 1.25% rate to near zero. Draghi should then turn to quantitative easing (QE) programs like those deployed by the Bank of England and the Fed. QE supports economic activity through several different channels. It can boost market expectations of future growth. It can increase inflation expectations; higher expected inflation can encourage current spending and reduce the effective cost of borrowing, which also encourages new spending and investment. QE should also reduce the value of the euro. Since Europe’s governments are busily crushing domestic demand through austerity, they’ll need to export as much as possible to avoid a deep downturn. A falling euro makes euro-zone goods more affordable in foreign markets, boosting exporters and helping to support a weak euro-zone economy. Central banks carry out QE by creating money and using it to purchase government bonds. Conveniently, the ECB is already buying lots of those, though not to boost economic activity. Rather, it is intervening in debt markets and purchasing the debt of troubled governments, like Italy’s, in order to maintain a semblance of calm. The ECB can reassure market participants that there will be buyers for vulnerable debt, reducing panic and discouraging people from betting against troubled economies. Normally, large-scale purchases by a central bank would be expansionary, since the central bank is creating the money to buy assets. The ECB, however, is determined to keep inflation in check. It has therefore been “sterilizing” its asset purchases, using other tools to soak up the money it injects when it buys a dodgy Greek bond. Draghi ought to think about easing up on this sterilization and allowing more of the money it’s creating to circulate. If Draghi is wise, the ECB will have plenty of opportunity to do just that. The euro zone is now facing an intense crisis of confidence. In any financial system, large institutions will occasionally get into trouble. Whenever that occurs, contagion becomes a possibility. Market players facing losses may have to sell other assets to shore up their financial position, placing pressure on other institutions. Investors expecting contagion may pre-emptively move away from vulnerable but solvent institutions. In selling, they transmit contagion. Governments have learned to tame these panics by empowering buyers of last resort. When banking systems face liquidity panics, the Fed provides emergency funding to reassure markets and stem contagion. And historically, central banks have insulated their governments from sovereign panic. A central bank can print money and therefore has unlimited resources to buy debt. Markets therefore don’t need to worry that at some future point they’ll be unable to sell their holdings of government debt, and crises are short-circuited. The ECB was not built to play these central-bank roles. Its charter explicitly prevents it from buying debt directly from governments. Its rules also deny the ECB the fiscal backing of a euro-zone government. By helping to protect a central bank against any losses on the assets it purchases (say, in the case of a default), fiscal backing reduces the risk to market intervention and boosts the credibility of the central bank’s action. Nonetheless, the ECB is empowered, through its Securities Market Programme, to buy government debt as necessary to maintain control over monetary policy. Realistically, the ECB has a great deal of leeway through the SMP to buy as much debt as it feels is necessary. Draghi therefore has the power to essentially redefine the ECB’s role within the euro zone and take upon itself the job of buyer of last resort. In working to stave off immediate crisis, it is certain to accumulate a large portfolio of bank and sovereign assets. Better for Draghi to acknowledge this and declare his willingness to buy as much as necessary to stem the panic. In doing so he may shift market expectations. Should he stretch the central bank’s rules to fight the crisis, he will face intense criticism from powerful European politicians, especially those in Germany. But a credible promise to behave like any other central bank would end the panic. There is more that Draghi could do. His predecessor, Jean-Claude Trichet, would not accept the need for a restructuring of Greek debt to reduce that embattled country’s obligations. Draghi could be more flexible, more accepting of the utility of allowing insolvent economies to default, and willing to provide ample liquidity to prevent such defaults from being unnecessarily disruptive. Should the euro zone’s governments decide to take bolder steps, they might create other opportunities for the ECB to usefully intervene. French President Nicolas Sarkozy had hoped to convince German Chancellor Angela Merkel to allow the ECB to lend to the European Financial Stability Facility, in order to leverage up its €440 billion in capital to something like €2 billion—enough, perhaps, to handle existing obligations and still have money left over to support banks and sovereigns that get into trouble. Should such a plan re-emerge, or should the euro zone decide to issue euro bonds, then the ECB could deploy its firepower in support of those new institutions. 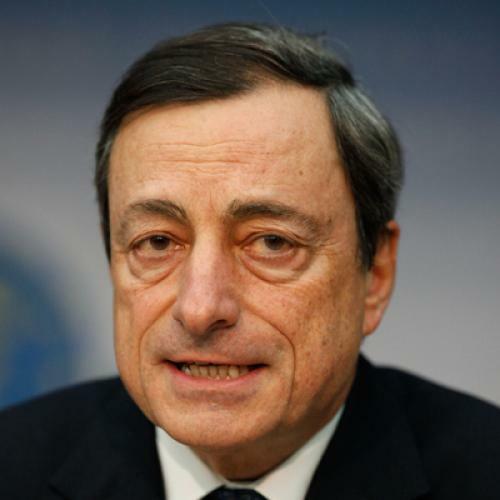 Or Draghi could act cautiously, as his predecessor did, in the hopes that the the ECB’s reluctance to intervene encourages the euro zone’s political leaders to do more, to shore up their banking systems, stimulate the economies of the weaker periphery, and build federal fiscal institutions to go with their monetary union. That seems a long-shot, however. Unfortunately for him, the failure to act boldly, while understandable, might put Draghi at risk of losing his job—not because he has displeased his colleagues, but because there may no longer be a euro to manage. Ryan Avent is the Economics correspondent for The Economist.